Along with this blog, I’m now doing volunteer work for the Phillips Museum of Art at F&M College in my home town of Lancaster, PA. 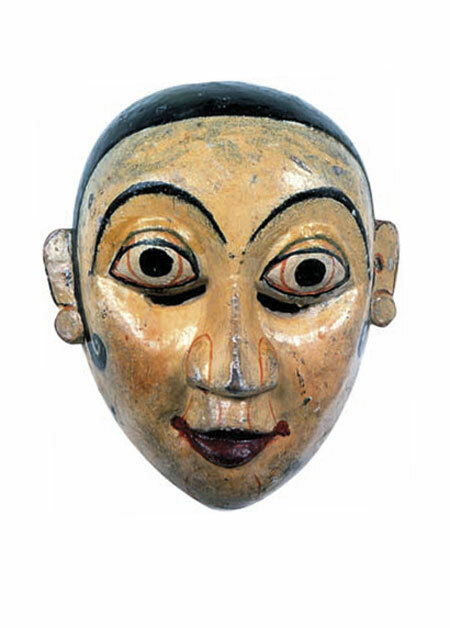 I was especially impressed with this Bedu plank mask from a recently acquired collection. 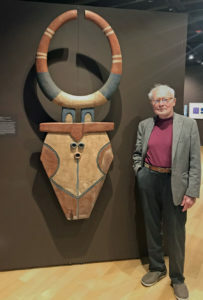 Here it is at the museum entrance with a very pleased researcher. 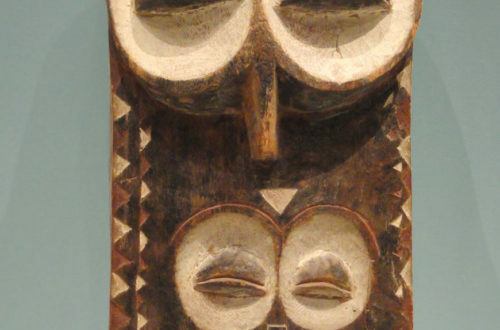 This is one of the largest tribal masks used in Africa, when you combine dimensions and weigh. Typical sizes ranges from five to eight feet high and they can weigh as much as 100 pounds. It is danced at New Years, funerals, harvest festivals and other events, always by the very strongest young men in the Bedu Association in the Gurunsi area of Ivory Coast, West Africa. 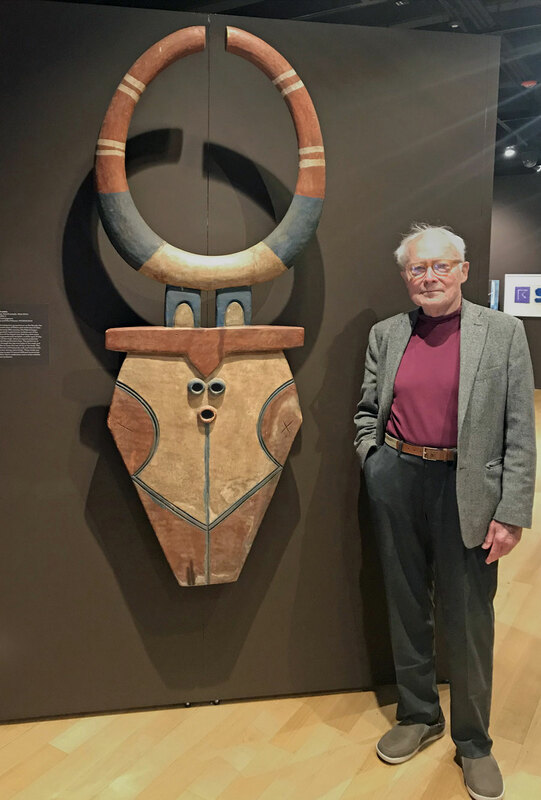 Because of their great size and the similarity to modern abstract painting and sculpture, Bedu plank masks show up in the most important museum collections of African traditional art. Of course, because of shipping costs you rarely see them anywhere else. We are fortunate to have one at the Phillips. Belief in the Bedu religion only started in the 1930’s, which is a nice example of how cultural tradition continues to evolve throughout the world. 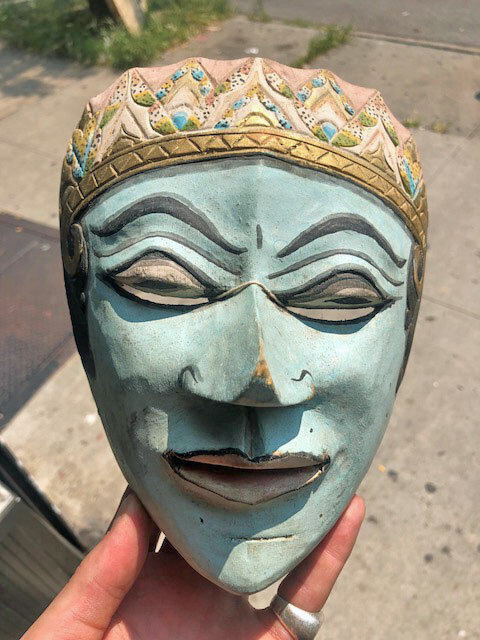 These huge masks have only been in use for about 75 years. Usually they have a large, flat, shield-like face with two struts holding circular horns, similar to this one. Ours is typical in construction and colors, but the graphic design is a bit unusual.